Were you not able to attend The Spirit of ’68 or would you like to rewatch the programme? Click here for the recording. In 1968, a wave of protests swept the world. ‘What if we do everything differently?’ an entire generation seemed to wonder at the same time. People worldwide demanded liberty and equality, questioned authorities, and traditional institutions such as the church, schools, and family structures. They wanted to break the status-quo and find new creative ways to stress their ideals. In an exceptional spirit of creativity, imagination, and determination, they knocked on the doors of those in power and demanded change. The New Left was born in 1968, but the ´68 protests also fueled a counter reaction from the political right. Fifty years after the pivotal year of 1968 we reflect on the values people fought for at the time. Equality, freedom of speech, religious or artistic freedom can no longer be taken for granted. In recent years it has become evident that a huge group of people has felt left behind by both the new left and the new right. Populist leaders around the world thrive on these feelings of discontent. 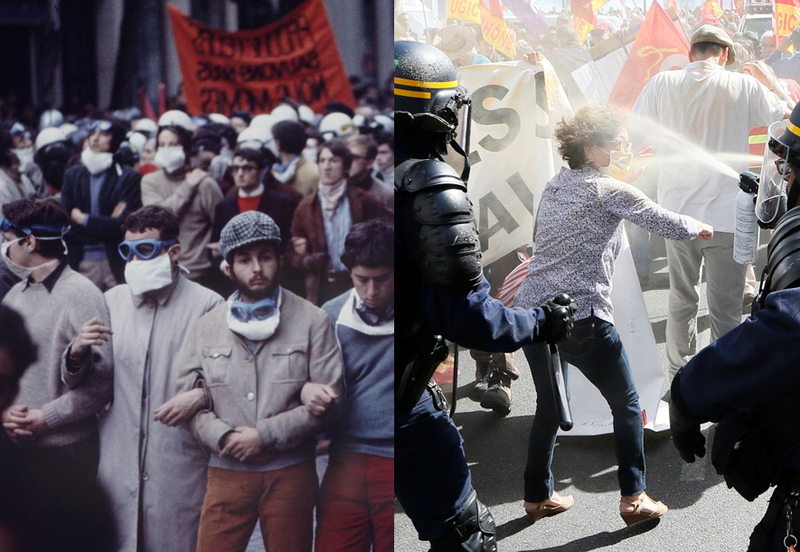 During this programme we will discuss the ambiguous legacy of the year 1968 with Alain Geismar, one of the main leaders of the ’68 movement in France, and journalist Roel Janssen who in May ‘68 traveled as a student to Paris to join the protests and this year wrote a book about ‘68. Subsequently, we look into the inspiring ideas from young thinkers and activists of today: the Swiss activist Flavia Kleiner, the Polish-Belgian author Alicja Gescinka and the Belgian journalist Thomas Decreus. What are their ideas to smash the present-day status-quo? Flavia Kleiner (1990) is a Swiss student and activist, who started Operation Libero, a counter-campaign against the extreme right-wing Swiss People’s Party (SVP). The campaign resulted in a record high turn-out during the Swiss elections and led to a defeat of the SVP. Thomas Decreus (1984) is a Belgian journalist, author of the book Dit is morgen [This is Tomorrow] on how to overcome deadlock in our contemporary society and how to achieve positive change. Alicja Gescinka (1981) is a Polish-Belgian author and philosopher. She discusses the meaning of freedom in her work and how to achieve freedom in our current society that feels increasingly more restricted. Roel Janssen (1947) is a Dutch writer and journalist. This year he published his book 1968: ‘You Say You Want a Revolution” (2018), which looked at the revolutionary year of 1968. As a part of the 1968’s anniversary the exhibition: Amsterdam Magical Centre: Art and Counter Culture 1967 – 1970. will open on the 7th of July in Stedelijk Amsterdam.